Data Ring: Let Us Turn the Net into a Database! 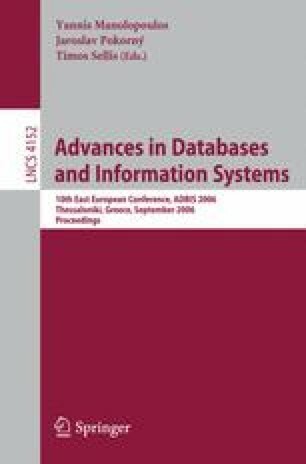 Because of information ubiquity, one observes an important trend towards transferring information management tasks from database systems to networks. We introduce the notion of Data Ring that can be seen as a network version of a database or a content warehouse. A main goal is to achieve better performance for content management without requiring the acquisition of explicit control over information resources. We discuss the main traits of Data Rings and argue that Active XML provides an appropriate basis for such systems. The collaborating peers that form the Data Ring are autonomous, heterogeneous and their capabilities may greatly vary, e.g., from a sensor to a large database. To support effectively this paradigm of loose integration, the Data Ring enforces a seamless transition between data and metadata and between explicit and intentional data. It does not distinguish between data provided by web pages and data provided by web services, between local (extensional) data and external data obtained via a Web service call. This is achieved using the Active XML technology that is based on exchanging XML documents with embedded service calls both for the logical and physical data model.